You’ve decided to think things over in the relationship you have with your spouse instead of jumping into the divorce process. However, in doing so, you have decided that it might be in the best interests of everyone involved to move out so that you and your spouse can have your space. Living together might be causing you great stress, but there are also some consequences with choosing to move out. Today we want to answer your questions concerning this process and how you can handle it in the best way. Moving Out: Should I or Shouldn’t I? Many people choose to engage in the rash decision of leaving before they are ready, and with this choice comes consequences. Today we want to answer some of your burning questions about moving out and whether or not it is a good decision. If I move out, will I be able to claim the house when we go through the divorce process? You might be worried that the family home will now be your spouse’s if you make the decision to leave. If this is just a temporary decision that you are making until you come to a conclusion about the status of your marriage, you will still have a claim to the home because it was your primary residence. However, if you decide to separate for a long time, or permanently, you could lose this chance. This is why you want to be firm in your decisions. Who is going to cover the house bills while I’m moved out? 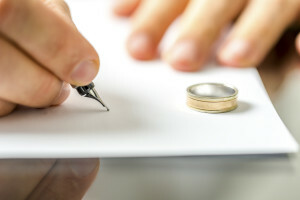 If there is a mortgage in both of your names or rent to be paid, you will have to pay your portion of it before you come to an agreement on your divorce so that you are being fair to your spouse. This is one of the reasons why it is important to discuss finances from the start, so that you have a better chance of gaining the results you want to see in your case. Am I abandoning my children if I leave our family home? If you leave the family home, you might worry that your spouse will say that you abandoned your family and your children. If you are communicating and meeting with your children at visits, you will still have custody rights to establish in your case. If this becomes an issue and the communication lessens, you might run into issues. If you are concerned about some of these issues as you go through a separation with your spouse, these are things that you can discuss before the divorce process (if you decide that it is for you.) We want to help you every step of the way when it comes to these aspects in your case, as we know that they are important to you. Contact us today for more information on how we can lend a helping hand to you.